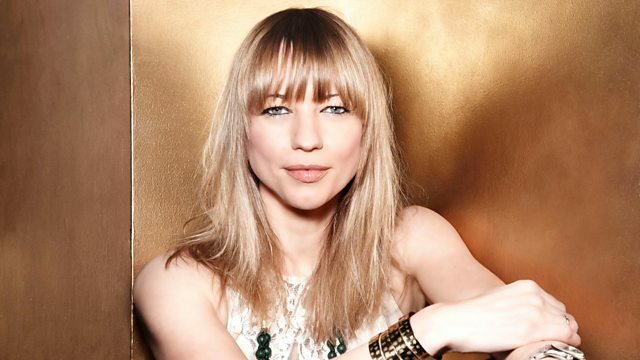 Sara Cox sits in for Chris Evans. Expect lots of great music, news headlines, a look at the papers, regular sports updates and a daily Pause for Thought. Now 1992 - The Millennium Series. Wham - The Best Of Wham!. We’re in the season of remembrance; it was All Hallow’s Eve, or Hallowe’en on Saturday, All Hallows Day yesterday (also known as Saints’ Day) and it’s All Souls Day today when we remember all those people who have died who weren’t recognised saints – almost everyone then! - and so it’s very appropriate that this afternoon I’m taking part in a conference about death and dying. Although we’re open about so much these days, many people still find it hard to talk about death and the issues surrounding it so we’re going to offer some guidelines on writing a will, for example, and to look at the effects of bereavement, and how to plan a funeral, your own or someone else’s. I’ve conducted hundreds of funerals over the years and I’ve found it a great privilege to work with people as they plan the service. I help them to make it an opportunity to re-member the person who’s died, to bring together and make real and lasting some of what they were, their relationships and their impact on the world and to give thanks for them. Most people are very positive and some have even wanted me to say that their loved one was a saint but I feel we can’t ignore their imperfections and struggles, their fragile attempts to make the best of whatever life threw at them. Recently a family’s tribute included a list of the establishments where the dear departed had spent time at Her Majesty’s pleasure – that might be taking it a step too far! Perhaps four or five times, I’ve been told that there is nothing good or nice to say about the person who’s died and I have to resort to a hope that God knew good things about them that perhaps we didn’t. As a Christian, I believe that death isn’t the end of a person or the love they’ve shared; I believe that there is a new and wonderful dimension where people are fully themselves, but more so - well and whole and free; so, as well as talking about funerals this afternoon - which clergy will do til the cows come home – I’ll be offering the opportunity to light a candle and say a prayer – I believe that’s a good thing to do for us and for them.